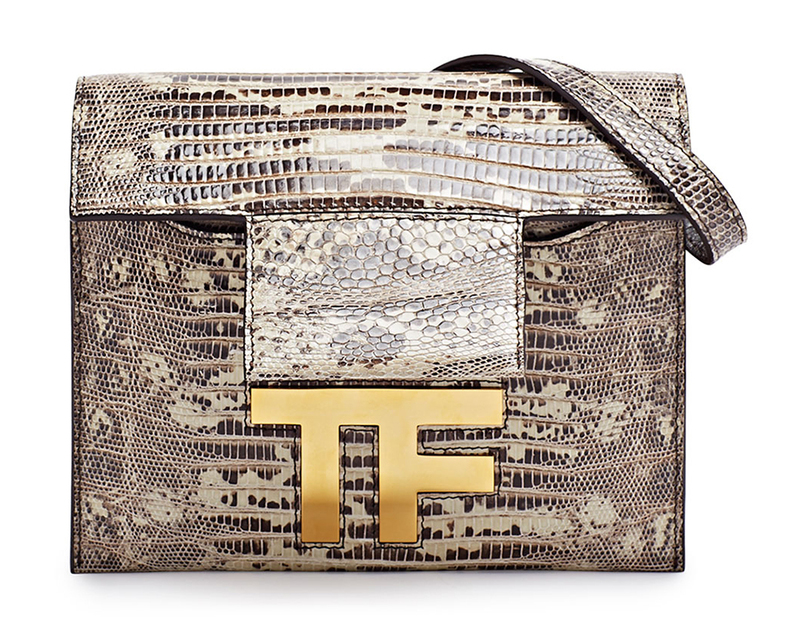 As an accessories brand, Tom Ford is still trying to get its sea legs. The line of bags and shoes is successful, but Ford has yet to have the kind of breakthrough, blockbuster hit that would send the business into the stratosphere. Handbag design is notoriously difficult to master for brands that have always been known, first and foremost, for other things (just ask Christian Louboutin), and now Ford appears to be looking for his signature, both literally and figuratively. These bags, which are part of Fall 2014, mark Ford’s first true foray into logos and branded hardware. 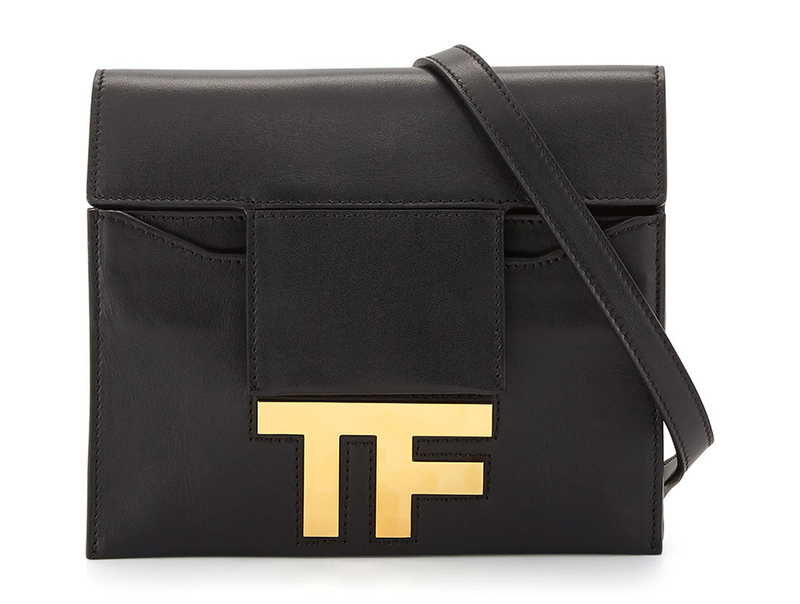 On the two shoulder bags, the large, gold “TF” is advertised as “hidden,” which appears to mean that the leather flap covers it if the wearer prefers. What’s unclear from the available photos, though, is if the bag’s structure also allows the monogram to be visible while carried, similar to the scheme that Louis Vuitton worked out for the Capucines. It’s not a subtle treatment, even if it is usually covered, but Ford’s not known for his subtlety. 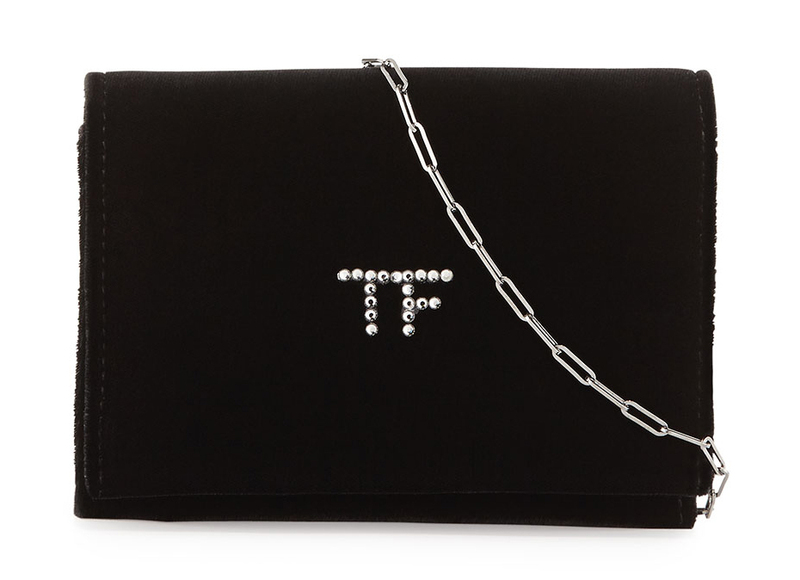 The velvet evening bag which is included with the line features the designer’s initials spelled out in crystals, which are not designed to be hidden. Something makes me think most buyers won’t hide the TF hardware, either, if that’s an option.